New statistics from Feed It Back’s monthly social review tracker has revealed that a change in Facebook methodology, switching to a polarised yes/no for recommendations, has driven up positive reviews on the channel from 4.1 out of 5 in July to 4.3 in August.  The statistics, which were taken from thousands of social reviews across the restaurant, quick service restaurant and pub industries, also revealed that Google Reviews remains the most prominent channel for feedback with 59% of social reviews submitted via this platform in August. 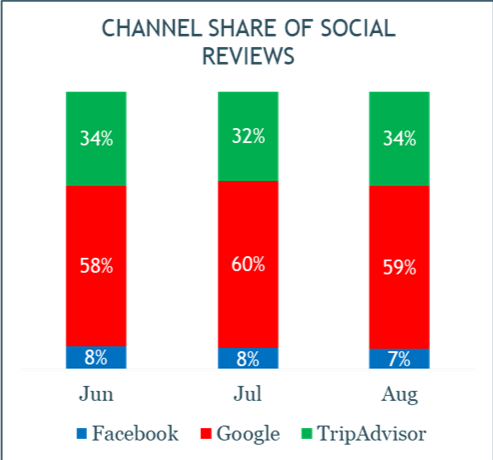 TripAdvisor accounted for 34% of reviews and Facebook just 7%. Looking at sectors, the data revealed that pubs and bars have enjoyed an increase in positive reviews in August, outperforming restaurants across the leading review platforms. 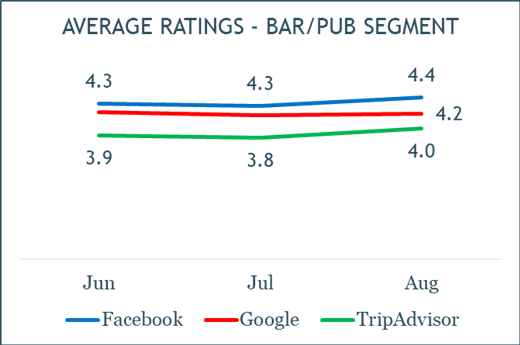 TripAdvisor ratings for pubs and bars moved from an average of 3.8 out of 5.0, to 4.0 out of 5.0; with Facebook following the trend, moving from 4.3 to 4.4; and Google reviews remaining consistent at 4.2. 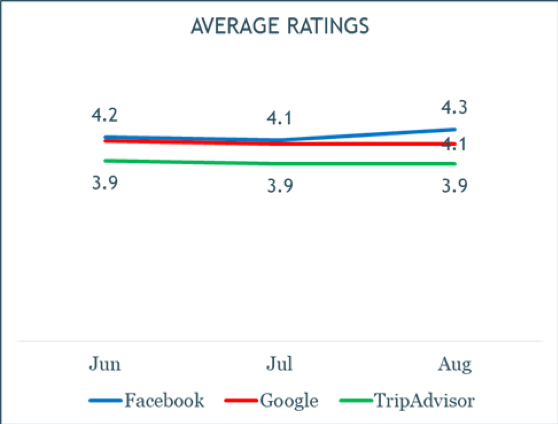 Over the same period, the restaurant industry experienced a decline in positive reviews on TripAdvisor with scores dropping from 4.0 to 3.9; while Google and Facebook reviews remained flat at 4.0. 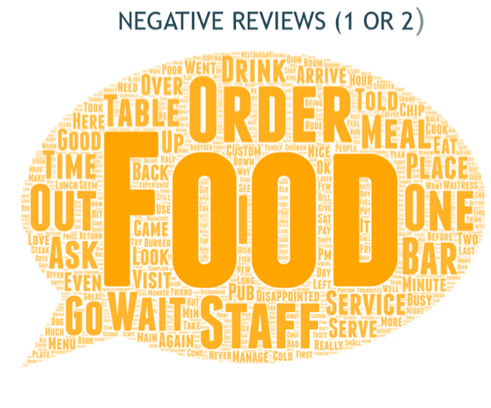 Digging deeper into what was impacting these figures, the data revealed that food was the major driving factor for influencing both negative and positive reviews, at pubs and bars, as well as restaurants. 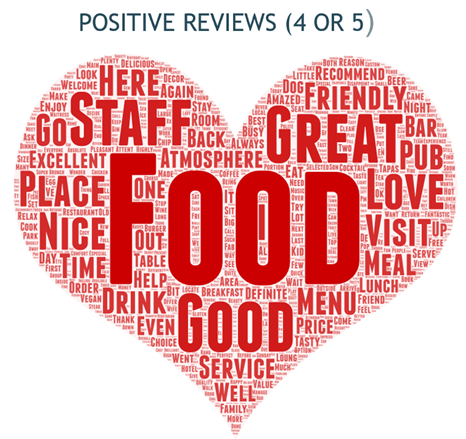 For pubs and bars, ‘atmosphere’ was also listed as a major driver in positive reviews, with ‘waiting times at the bar’ driving scores down. Similarly, waiting times were a key determining factor in negative reviews at restaurants, along with the keyword ‘pizza.’ Analysing the feedback closely, the narrative revealed that consumer expectation around what constitutes a good pizza has risen and operators need to focus on quality ingredients speedy service, or risk negative reviews. This data is part of a regular report Feed It Back runs across social reviews and just scratches the surface of their ability to drive revisits. Feed It Back is a company that tracks the word on the street about operators, through immediate feedback on experiences and online review platforms, such as Facebook and TripAdvisor. It aggregates all feedback into one easy to use platform that allows operators to efficiently deal with feedback they otherwise wouldn’t have heard, reward employees for excellent service and turn negative experiences into positives. The company is managed by experienced operators Julia and Carlo Platia, who drew on their experience running a cocktail bar and restaurant to launch the platform in 2008. It currently boasts a range of clients including: Loungers, Bistrot Pierre, Las Iguanas, Dirty Martini, Brains, Hippo Inns and Be at One, to name a few.